Ruth Jefferson is a labor and delivery nurse at a Connecticut hospital with more than 20 years’ experience. During her shift, Ruth begins a routine checkup on a newborn, only to be told a few minutes later that she’s been reassigned to another patient. The parents are white supremacists and don’t want Ruth, who is African American, to touch their child. The hospital complies with their request, but the next day, the baby goes into cardiac distress while Ruth is alone in the nursery. Does she obey orders or does she intervene? With incredible empathy, intelligence, and candor, Jodi Picoult tackles race, privilege, prejudice, justice, and compassion—and doesn’t offer easy answers. I need to add this! It's been awhile since I ready anything by Jodi Picoult but this book sounds too good to pass by. Definitely adding this one to my TBR. Thanks for sharing and hosting this meme! Thanks for hosting this great meme. I need to pick up a Jodi Picoult one day. It's embarrassing that I haven't done so yet! Thanks for the pick. YES! I can't wait for Small Great Things. It's going to be amazing, I think! I think this one sounds fantastic. 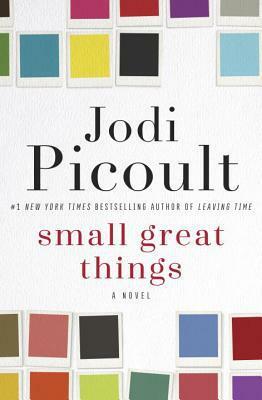 I've got an ARC of Small Great Things but haven't found time to get to it yet! Great pick! I just added this to my list yesterday. I just came across this yesterday! I'm looking forward to it. I love the cover, although I'm not a Jodi Picoult reader. I know there will be a lot of people excited for this! This looks like it's going to be heart-wrenching. 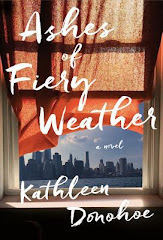 I've heard great things about her books especially the one with her daughter but I haven't gotten around to picking one up yet but I look forward to doing so and I hope you love this one! Oh wow! This sounds intense. I'm definitely curious about this story too. Thanks for sharing. Posted my first WoW today! Thank you for getting this started. Also, going to recommend this one to my mom—she loves Picoult! I love Jodi Picoult's books! I haven't heard of this one yet. Great pick. Jodi Picoult and I either really get along plot-wise or really hate each other plot-wise. This one sounds good though. My pick for this week's WOW tends to make people have very combative feelings too. I have my eye on this one as well. Love Jodi Picoult!